As we started the second term of the academic year, my focus with the A Level geographers turned to the Coasts topic of the new Edexcel A Level specification. As any teachers of the new specifications will know, both the amount of content and the rigour has hugely increased – creating new challenges of how to cover the content efficiently and effectively. As a result, I was left pondering how on earth to teach the required geology to a cohort where the average target grade is a C.
Believe it or not, the idea came to me as I was eating a Galaxy Ripple and reminded of a TeachMeet presentation I’d seen by a primary school science teacher. This teacher had used a series of different chocolate bars to demonstrate to her young students the different characteristics of sedimentary, igneous and metamorphic rocks. I doubt you’ve ever noticed but the cross section of a Galaxy Ripple looks remarkably like folds created through tectonic activity and so the idea was born! Prior to ‘the chocolate lesson’, I had covered the required knowledge with the students in detail and taught them about geological structure and lithology. We had covered the difference between joints, bedding planes, folds, faults and dips and so they were at a suitable stage to apply their learning. For this follow up lesson however, the instructions were minimal. Students were given an A4 fact sheet reminding them of the above classifications of geological structure and information about the characteristics of sedimentary, metamorphic and igneous rocks. 10 different types of chocolate bar were laid out before them and their task was to analysis the cross section of the chocolate bar in order to identify the characteristics of each. Students had to note down their thoughts onto a piece of card and rotate around the room until they had considered each different bar. 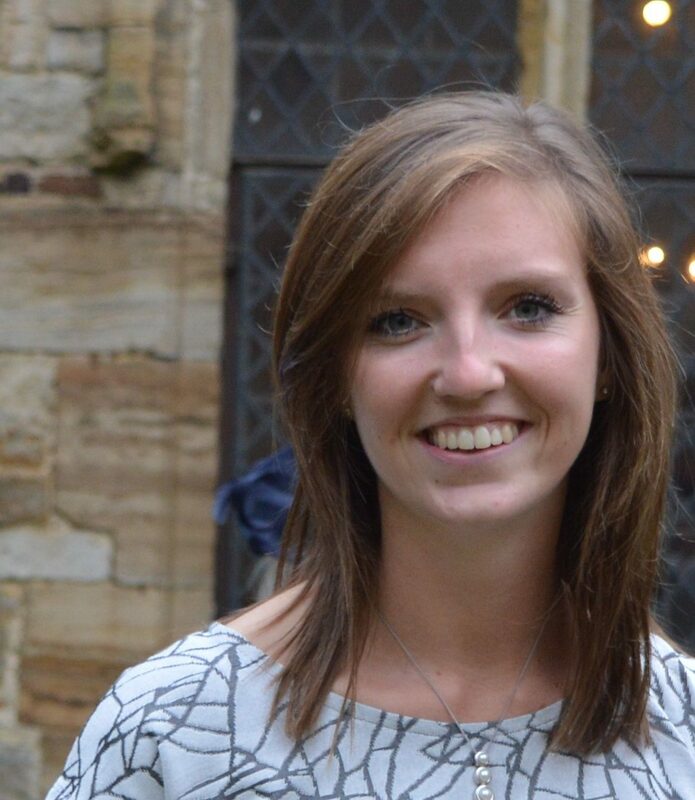 The lesson was a huge success – both in terms of engagement and the application of learning that took place. 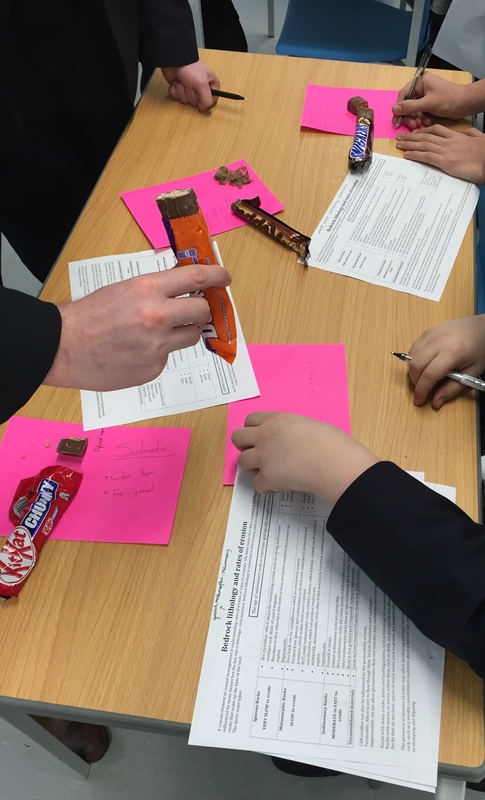 Every student got stuck in and some genuine discussions took place, for example debating whether a Crunchie bar had interlocking igneous crystals or simply represented a very porous rock. Whilst the same activity could have been done with a rock collection and rock samples, I would argue that through using such an engaging method, the students (particularly those who are less able) will remember this lesson and their applications of knowledge far better in the future. We shall, of course, be looking at actual rock samples in the field during our planned fieldtrip! ← Media literacy for TOK?